Café Sabel is named after BenCab's subject to his series of famous paintings of the same name (Sabel without the Café - just so we're clear). 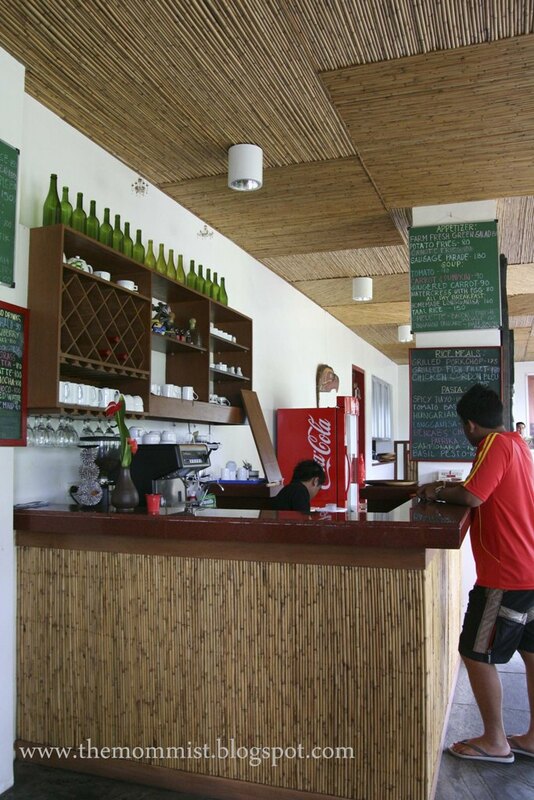 The café is located at the Farm & Garden level of the museum. We originally planned on having lunch elsewhere, but then we did the Farm and Garden Eco Trail Tour so our first plan was immediately scratched off our list due to extreme hunger pangs. We're so glad that we did stay for lunch, though. I fell in love with the tables. One of the servers told me that the wooden slabs are made from the trunk of mango trees that were no longer productive. I like the combination of wood and colorful wrought iron chairs. They make an unusual yet dynamic design combination. We were first served with cool, refreshing mountain spring water when we got to the café after our eco tour. Nope, not the bottled ones. This is the real thing; the au naturel mountain spring water. 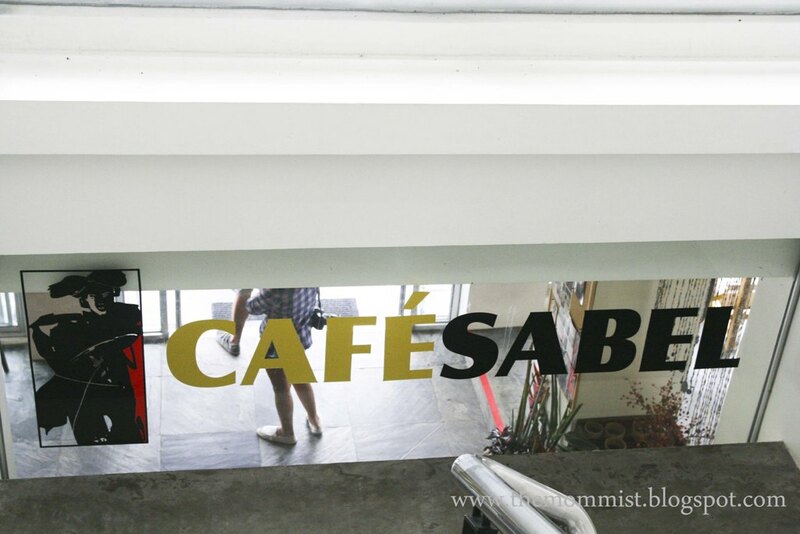 All the drinking water within the grounds of the BenCab museum and those that they serve at Café Sabel are fresh spring water that comes from the mountain stream. 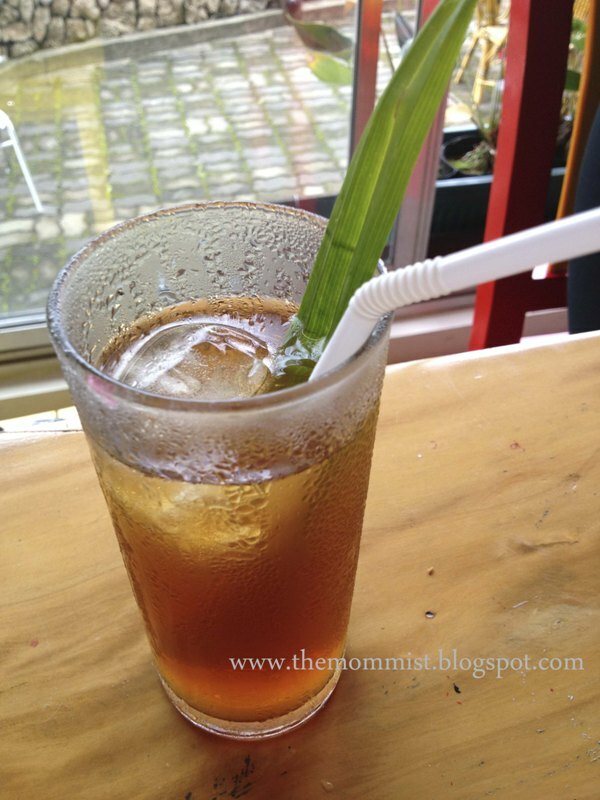 As an iced tea fiend, I took a particular interest and liking to their Iced Tea with Lemongrass. I drank 3 glasses within seconds apart! I was unbelievably thirsty from the tour we just had. 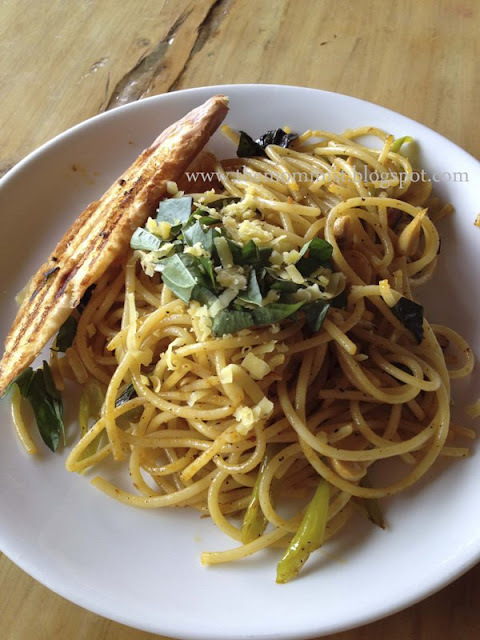 It didn't surprise me that hubs ordered this spicy tuyo pasta being a pasta-holic that he is. 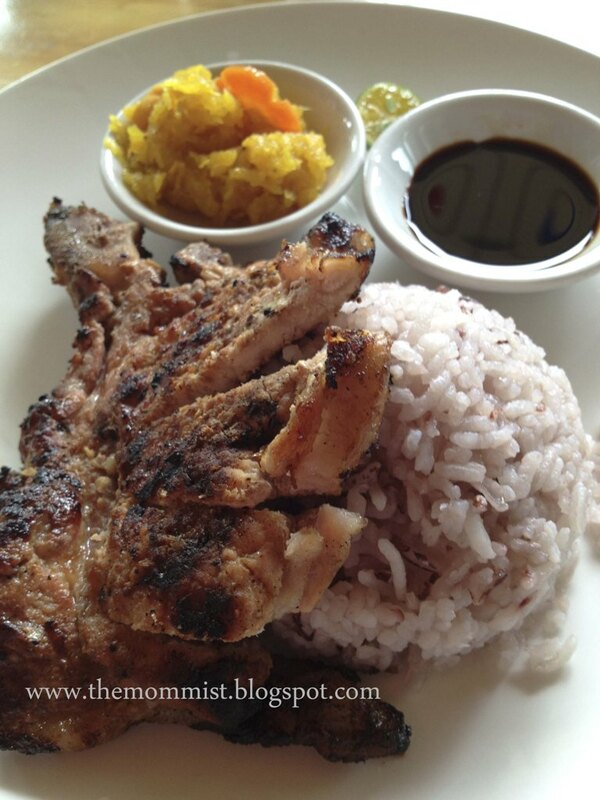 What surprised me was their own concoction of the robust flavor of the tuyo with the chilies! Delicious!! We just had to order this BenCab's Chicken Paprika. 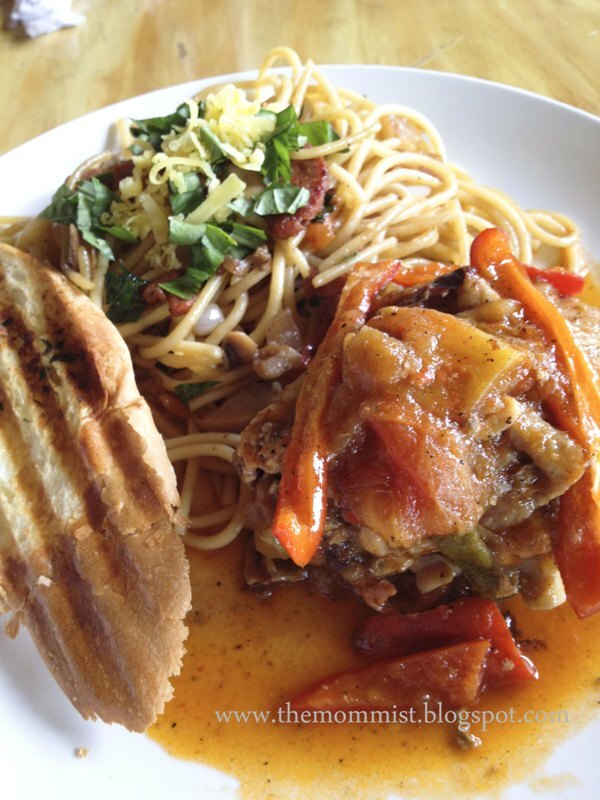 We figured that this dish must be really good since they named it after the artist himself. It didn't disappoint! The spicy, smoky paprika taste was just wonderful! 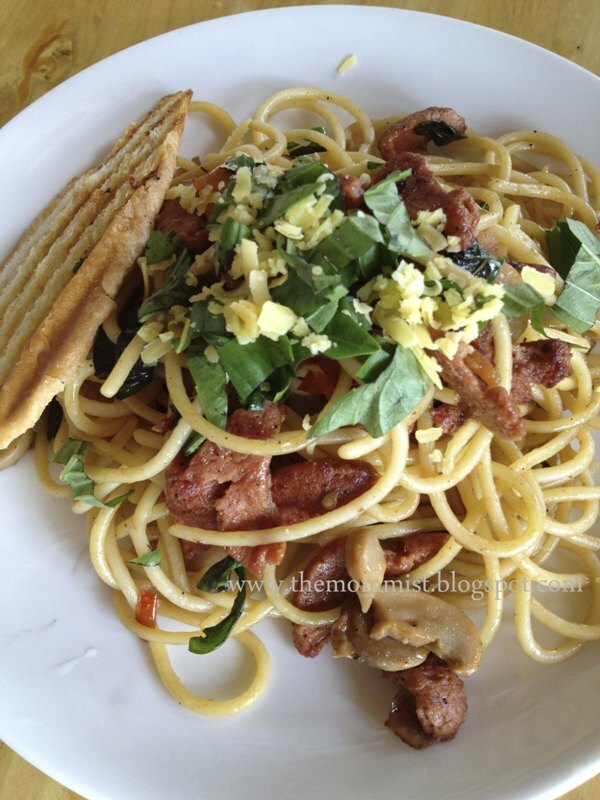 The Hungarian pasta was just as exciting as the tuyo version. It's flavor-packed, and had a slight zing. My boys loved this one better, though. 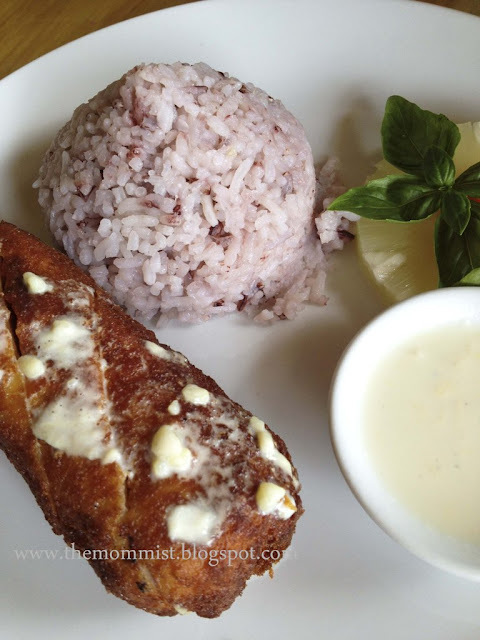 I find this Chicken Cordon Bleu satisfying, but not delicious. The combined flavors in this chicken bundle are a bit subdued. My sister liked this one though. Well, taste is subjective so.. The chops were flavorful, but it was a bit overcooked and dry. 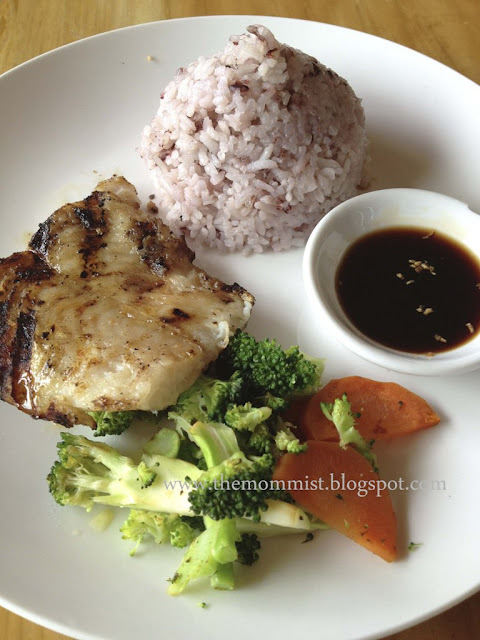 My youngest and I both ordered this Grilled Fish Fillet. You could taste the freshness of the fish right away! Tender, juicy, and a bit sweet. I like the sauce with chopped onions and the mountain rice as well. We ordered this Lava Ice Cream upon the recommendation of our server. 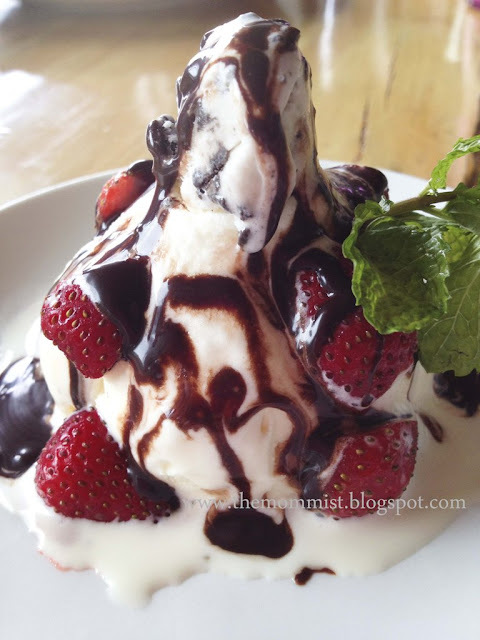 The ordinary commercial cookies and cream ice cream and vanilla ice cream topped with chocolate syrup was made delicious with the addition of fresh, sweet, and juicy strawberries. The sloping road that the red arrow's pointing at is Asin Rd. 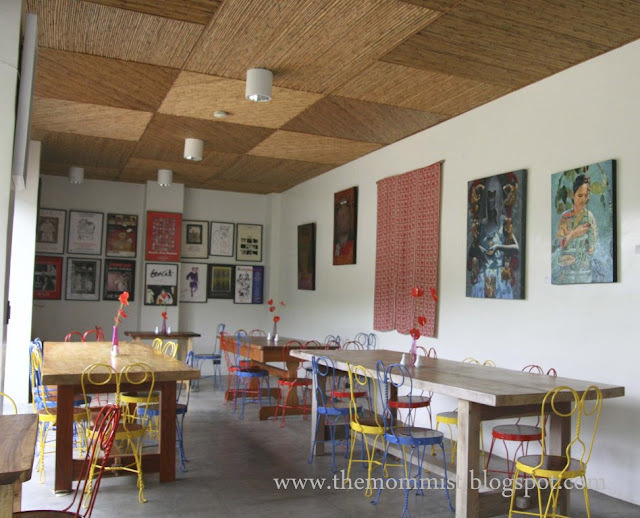 You'll pass by lots of wood furniture shops and after which, you'll see the BenCab Museum on your left side. The road going to the museum is long and narrow and will seem like it will take you forever to reach your destination but it is worth it.